Probably the most important thing you can do to reduce pet hair in your home is to make sure your vacuum cleaner is up to the job. 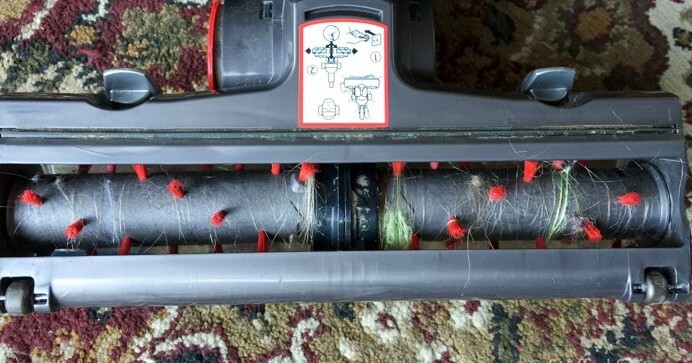 ​Many general-purpose vacuums struggle with pet hair getting tangled around the brushroll or clogging up the air flow, making them less effective. ​If you find yourself constantly having to detangle pet hair from your vacuum cleaner then we would strongly recommend you think about trading it in for a vacuum more suited to cleaning pet hair – it really will save you a lot of time, effort and frustration. But even if you haven’t got a pet hair friendly vacuum cleaner there are still things you can do to make your home cleaner. If you’re having trouble getting pet hair out of your carpets and rugs sprinkle some baking soda over them before vacuuming. The baking soda helps loosen the hairs that have got tangled in the carpet fibers, making it easier for the vacuum to pick up. It also helps deodorize your room at the same time. 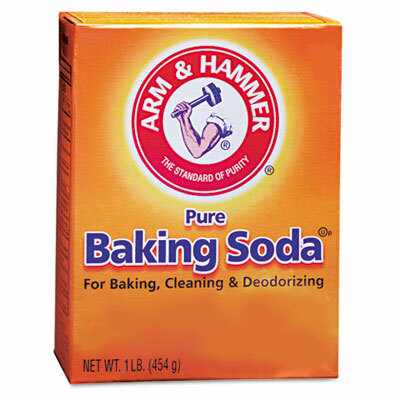 If you prefer you can buy specialist carpet cleaning powders (which often come with lovely fragrances) but baking soda does the job just as well. If you’ve got darkened areas at the corners and edges of your carpet, you’ve got a buildup of pet hair. ​If your vacuum cleaner doesn't have a crevice tool you can still get rid of this. Pet hair is very light and can easily move around on hard floors. Unfortunately, some vacuum cleaners have their exhaust near floor level which means the pet hair gets blown all over the place as you vacuum. ​The solution is to go over the floor with a pet hair broom or electrostatic dust mop before vacuuming. 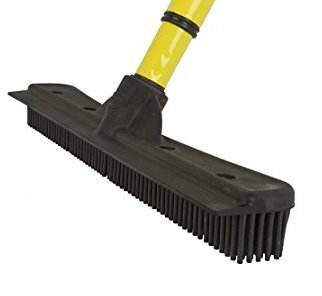 ​If you haven’t got either you can use something like a Swiffer. 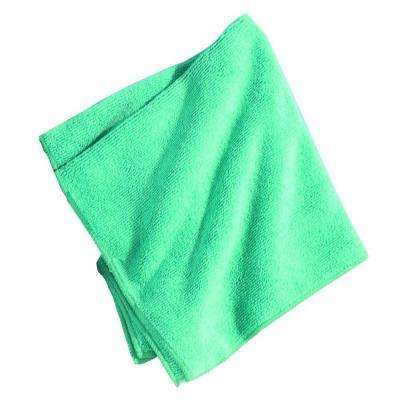 Use a microfiber cloth in lieu of a Swiffer cloth on the bottom to catch the hair and trap it in the cloth. ​To deal with pet hair settling on non-upholstered furniture like wood, laminate or glass use a microfiber cloth very lightly sprayed with water. 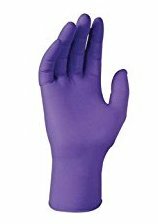 ​The cloth has an electrostatic charge on it which will attract the hair. A little water helps to make it slightly sticky. But don’t overdo it. If you use too much water it will be useless and just leave trails of hair all over the place. If you haven’t got a vacuum with an effective pet hair upholstery attachment you’ll have to get it up by hand. Lint rollers are good for small areas but you’ll get through an awful lot of lint rollers if you need to clean all your upholstery every couple of days! An equally effective and much more cost effective method is to get a damp cloth, a damp rubber glove or even a rubber squeegee (something with a bit of drag to it) and rub it slowly over your upholstery. ​And watch the hair come up. 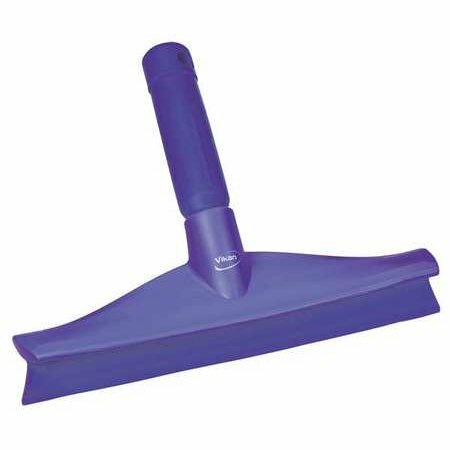 If you prefer you can also pick up a specialty product that does the same job - like a Lilly Brush. 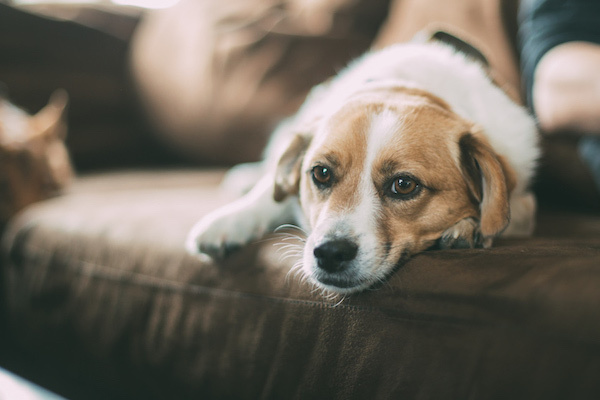 Check out our article on how to get dog hair out of a couch. 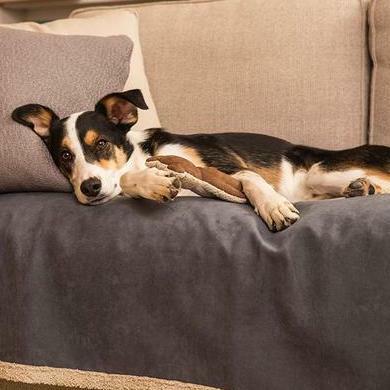 If your pet has a favorite hotspot to hang out on, place a washable blanket on the furniture to cover it up. ​I have blankets all over our sofa and ottoman and when guests come over I just put them in a bag in the closet – the blankets that is, not the guests! 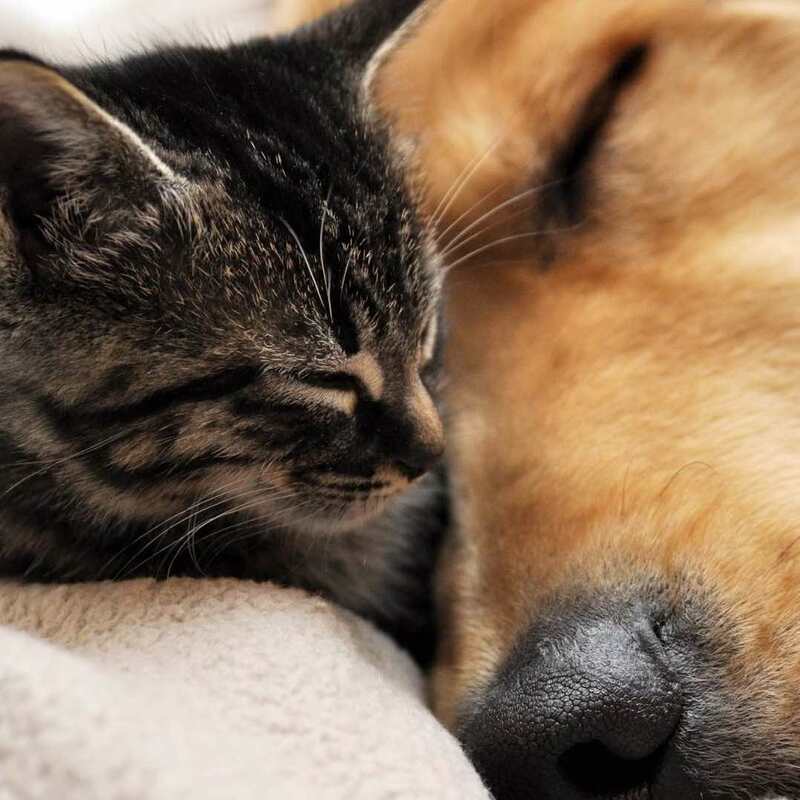 If your pet likes to climb up on the bed we've found some great pet hair resistant bedding you can use. Let's be honest, we never really think about the air ducts in our home unless something goes wrong. 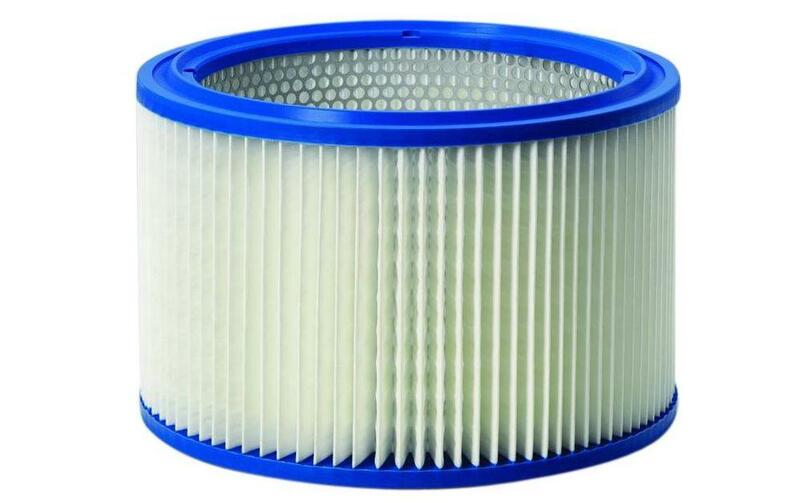 But regular cleaning of your air ducts is advisable for a home with pets. ​Hair and dander settle in air ducts and get recirculated in your HVAC system meaning more hair for you to clean. If you can, have the air ducts cleaned once a year. The best way to keep your home pet hair free is to get to the fur before it leaves your pet. 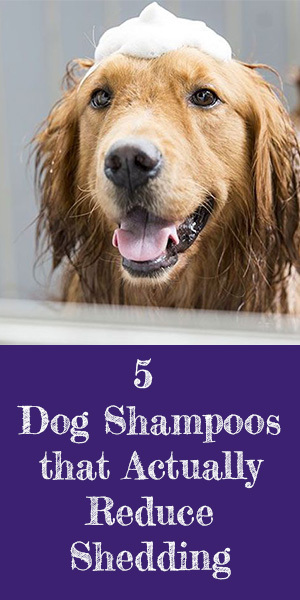 Brush your pet as often as is healthy for them. 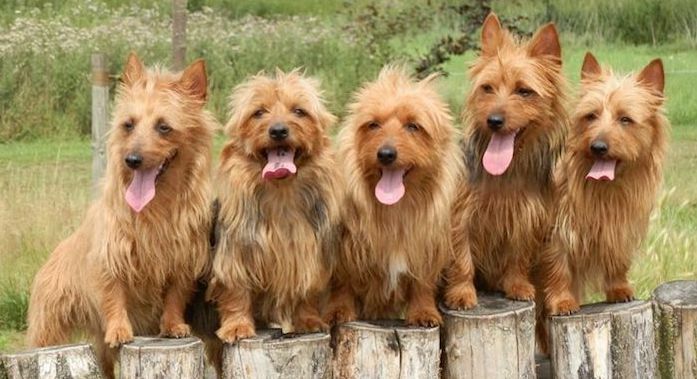 ​A standard grooming brush is fine but a slicker brush or specialist hair removing glove will pick up even more loose fur. ​The best way to reduce the buildup of hair is to vacuum every day. 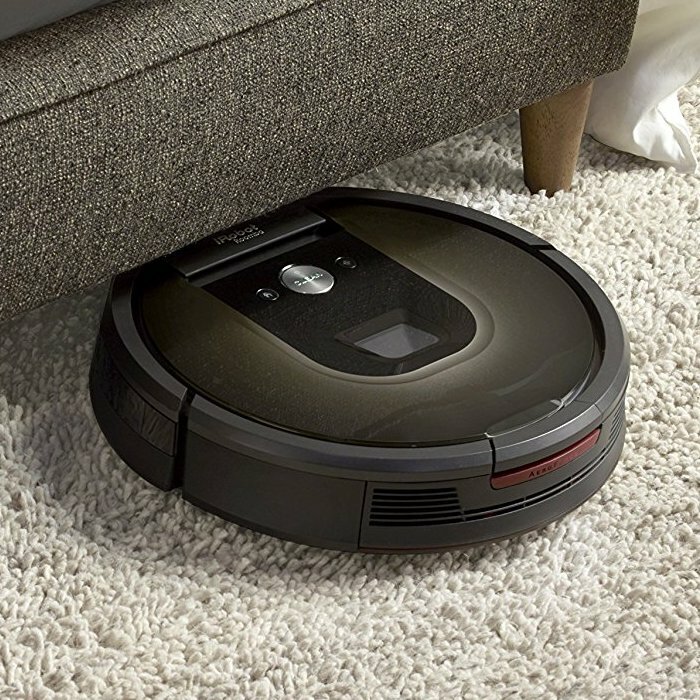 If you’re not a fan of vacuuming and you’ve got the budget for it get a robot vacuum. These machines will vacuum whenever you want them to without complaint. ​It’s the future! 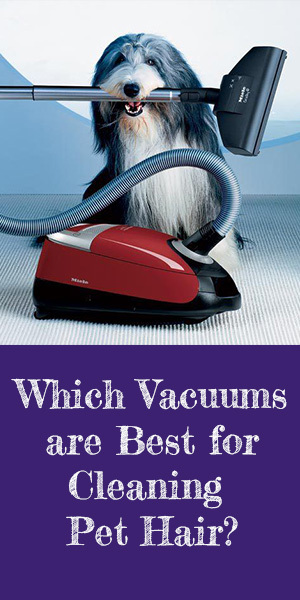 You can check out our recent review of robot vacuums to find out which ones cope best with pet hair. 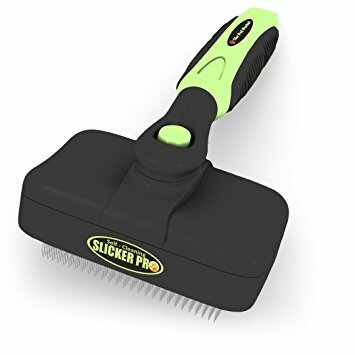 The mission of this website is to provide high quality reviews of cleaning products, the best grooming advice and insider cleaning tips – everything you need to know about managing pet hair all in one place. So, sit back and relax. Whether you’re buying a new cleaner today or need some expert advice, Pet Hair HQ is here to help.